I decided to put the hardest to implement at the top of this list, but if you’re willing to do the work, it can really boost your engagement. You’ll need to create some way for people to sign up and you’ll need to be careful about the legalities involved, but I’m sure you wouldn’t be shocked to hear that people love free stuff. Select a day of the week and make it a special day. On the SleepBetter Facebook Page, which I manage for Carpenter Co., we have a couple of these. On Monday’s, when there isn’t some special program going on, we do “Sleep Myth Monday”. I post a statement about sleep, and invite people to guess whether it’s a myth or not. The answer is posted at the end of the day. Another example of this comes from The Homestead, which conducts Throwback Thursday (posting old pictures of the resort), Wedding Wednesday (information about wedding offerings at the resort, and Travel Tuesday (posting information about their resort as a destination). You’ve probably seen these. You post a statement and ask people to click “like” if they agree and comment if they disagree. You’d be surprised the results you can get. Another version of this is to ask people to click “like” to recognize something, like a birthday or anniversary. Example: Our founder, Bob Smith, is 97 years old today. Click “like” to wish him a happy birthday! It may seem like pandering and it probably is, but people love it. Making it relevant to your industry is key to keeping people from being annoyed and furthering your brand at the same time. You can even make this a once per week thing and combine the strategy with a “special day of the week”. On the SleepBetter Facebook Page, for instance, we have the “Friday Sleep Funny” where I post a cartoon or funny sleep picture. Here’s an example that led to nearly 2,400 “likes”, nearly 3,000 “shares” and 60+ comments. If you can’t beat them … join them. 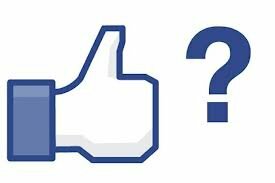 Facebook has lowered the number of people who see a Facebook Page post in order to push page owners into advertising. Fortunately, advertising works and is reasonably cheap. If you have a special program or offer that you’re starting, consider paying a little bit of money to “boost” the post, to see if it works for you. And now, some pandering of my own: Please “like” the EndGame PR Facebook Page!